Paella for the World Foundation and The New Jersey Photography Forum are pleased to announce the first Spirit Of Gastronomy annual international photo contest. According to its organizers the contest has been created to honor the spirit of food photography and those who help capture it. 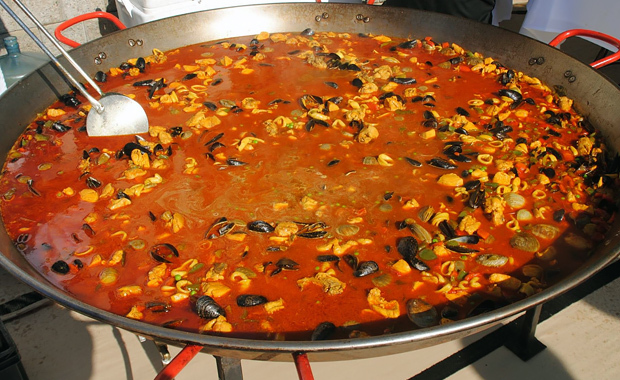 The winners will take home generous cash prizes, will be presented with a Paella for the World Award and will participate free of charge in the events of the second annual New Jersey Paella Festival (fall of 2015). The jury will be chaired by the prominent American photographer Nancy J. Ori, who in 1995 helped found The New Jersey Photography Forum. Each contestant in the New Jersey Annual Spirit of Gastronomy Photo Contest may participate with only one photo (digital format). However, the photographer may compete with the same image simultaneously in several categories. In this competition anyone over the age of 18 from anywhere in the world may send their photo. New Jersey Annual Spirit of Gastronomy Photo Contest is opened to amateur and professional photographers. The registration fee for this competition is US $12 and is payed at the time the contestant submits their photo.